In 2005 she was part of the team that won the University of South Africa Award for Excellence in Tuition. The award was received for Law of Persons. 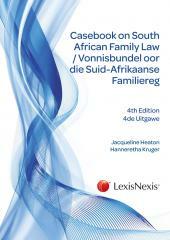 She also presents postgraduate guest lectures in Family Law and Child Law at the University of Pretoria. BLC and LLB degrees from the University of Pretoria and the LLM degree from Unisa. 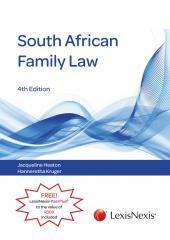 She is a Professor of Law at Unisa and has extensive experience in the fields of law of persons, family law and child law. Currently the Rapporteur for the Family Law Committee of the International Law Association and a member of the Advisory Committee of the South African Law Reform Commission for Project 25 Statutory Law Revision: Revision of Legislation administered by Department of Home Affairs. Until recently, she was also a member and Deputy Chairperson of the South African Broadcasting Complaints Commission of South Africa.